Mixbook is introducing a new photo book building service called Montage which reduces the time for users to create professional looking photo books. Rocket Fuel was ranked No. 1 on Deloitte's Technology Fast 500, a ranking of the 500 fastest growing technology, media, telecommunications, life sciences and clean technology companies in North America. Mixbook was named the #2 Fastest Growing Private Company in Silicon Valley by the Silicon Valley Business Journal. Mosaic, Mixbook’s mobile app, is one of the first two mobile e-commerce apps to be part of the rollout of “Autofill with Facebook,” Facebook’s new mobile payment platform. Rocket Fuel successfully completed its IPO raising $116 million. Shares closed up 93% after the first day of trading, valuing the company at about $2 billion. NASDAQ Welcomes Marrone Bio Innovations, Inc. (NASDAQ:MBII) to the NASDAQ Stock Market. PlayPhone announced a partnership with Sprint that adds 55 million new customers to PSGN. This brings PlayPhone’s mobile gaming presence up to 83% of North America’s smartphone and tablet market. Pandora announced that Elizabeth A. "Betsey" Nelson has been elected to the board of directors and will join the company's audit committee. Ms. Nelson is currently on the boards of Nokia and Brightcove and has formerly served on the boards of CNET, Macromedia and Autodesk. Altierre appointed to the 2013 AlwaysOn Global 250 Companies to Watch list. Rocket Fuel named to @AlwaysOn's Global Top 250 for the third year in a row. Marrone Bio Innovations (MBI) filed its S-1 registration statement for a proposed Initial Public Offering (IPO) led by Jefferies LLC and Piper Jaffray & Co.
iPV came out of stealth mode under the new name of Scifiniti, announcing its first product, SmartWafer(TM). SmartWafer is an ultra-low cost, drop-in replacement photovoltaic (PV) silicon wafer with the same form factor and performance as traditional wafers at half the cost. Rocket Fuel expanded its European presence with the launch of a new office in Madrid, Spain, The Madrid office will be led by newly-appointed managing director Juan Sevillano Zabala. Playphone announced that IGT’s DoubleDown Casino will be available on Playphone’s social gaming network. DoubleDown Casino has several million active players coming from Facebook and mobile. PlayPhone announced that Claro Brazil has launched Ideias Social Gamesthe first Latin American extension of PlayPhone’s popular mobile social gaming network. Ideias Social Games enables Brazilian gamers to seamlessly connect to PlayPhone’s social gaming network and play popular games with gamers from around the world. PlayPhone and JumpStart, a trusted leader in online and mobile educational game software for children, announced that several of JumpStart's most popular titles are coming to Verizon's PlayPhone-powered Games Portal. Altierre has been chosen by AlwaysOn as one of the 2013 OnDemand Companies to Watch. Inclusion in the OnDemand Companies to Watch signifies leadership amongst its peers and game-changing approaches and technologies that are expected to disrupt existing markets and entrenched players. Alitierre announced that David Plumer has joined the company as Vice President of Global Sales. Mixbook’s CEO, Andrew Laffoon, discussed the future of photography and the life of prints in a digital world in an interview with BloombergBusinessweek. Pandora surpasses 200 million registered users in the U.S.
Marrone Bio Innovations hired Allison Stewart as its chief science officer. Stewart most recently was a distinguished professor of plant pathology in the Bio-Protection Research Center at Lincoln University in Lincoln, New Zealand. PlayPhone hired Skype veteran Bhaskar Roy as Chief Product Officer to manage the development of the company’s social gaming network. Ustream announced a deal with Sony to power one of the PlayStation 4′s hallmark features: the ability to share footage of a player’s game with their friends online with the tap of a button. Ustream will provide exclusive live video streaming for the upcoming Bonnaroo Music & Arts Festival and the Outside Lands Music & Arts Festival allowing for the first time viewers everywhere will have access to the lineup of performances for both festivals. Rocket Fuel launched in France, with Eric Clemenceau appointed as managing director. PlayPhone’s mobile social gaming technology will be the platform for Verizon’s new Android-based game portal. The portal will give vast exposure to mobile-game developers thanks to the massive distribution network and monetization efficiencies of Verizon. Rocket Fuel was named to the 2013 AlwaysOn OnMedia 100 Top Private Companies list for the fourth year in a row. The AlwaysOn OnMedia 100 is a list of the top emerging companies creating new business opportunities in the world of media, advertising, marketing, social commerce, branding, and public relations. Rocket Fuel announced that Sue Bostrom, former EVP and CMO of Cisco, will join the company's board of directors. She is the first woman to join the Rocket Fuel board. Rocket Fuel has selected Credit Suisse and Citigroup to lead its IPO planned for later this year. Altierre featured in a New York Times story on next generation signage in retail stores. Rocket Fuel named #4 on Forbes “Most Promising Companies in America” list. Mixbook named #43 on Forbes “Most Promising Companies in America” list. Rocket Fuel was ranked in the top 5 on 2012 Tech 200 List compiled by Lead411. Companies were all US, private, with over $1 million in 2011 and ranked for their revenue growth from 2009 to 2011. PlayPhone was recognized as the top social mobile gaming network by Red Herring and named winner of Red Herring's Global Top 100 Award, a prestigious list honoring the year's most promising global private technology ventures. Mixbook’s first mobile offering, Mosaic, rockets to the top of iOS apps of the week. Marrone Bio Innovations was named to the 2012 Global Cleantech 100 List. Mixbook pre-announced the release of their first mobile photobook app for iOS called Mosaic. PlayPhone will add more than 500 new developers to its program and 40 additional games, bringing the total games live on the PlayPhone Social Gaming Network to more than 200 titles in the third quarter. UStream released a new app, Broadcast for Friends  or BFF, that enables users to broadcast live video directly from their iPhone to their Facebook feed. PlayPhone announced that its monthly active user base has quadrupled from 1,000,000 to 4,000,000 over the last six months. Mixbook founders Andrew Lafoon and Aryk Grosz were named to Inc. Magazine’s “30 under 30” list honoring the 30 coolest founders under 30 years old. Infoaxe’s Flipora passed 8 million registered users and has added a customized discovery engine that helps users figure out what to visit next on the web. PlayPhone won the coveted 2012 Red Herring Top 100 Americas Award for technology innovation in mobile social gaming. As such, it was honored as one of the top 100 most promising private technology ventures in North America for 2012. Pandora streamed over 3 billion hours of music in the most recent quarter which represented 92% growth over the same period last year. ShotSpotter was featured in a favorable Memorial Day New York Times article. Labrador 's Larry Kubal evaluated mid-term oral presentations for the “Entrepreneurship: Formation of New Ventures” course at the Stanford Graduate School of Business. Rocket Fuel won the 2012 San Francisco Business Times Tech & Innovation Award for the Advertising and Marketing Category. Pandora surpasses 150 million users and is now the second most downloaded iOS app. PlayPhone selected as a finalist for 2012's Red Herring Top 100 Americas award, which honors the most prominent technology ventures across the region. Pandora was favorably featured in a New York Times article focused on its increasing impact on traditional radio. Listener hours for Pandora during the month of March 2012 crossed the 1 billion mark, an increase of 88% from 567 million during the same time period last year. Share of total U.S. radio listening for Pandora in March 2012 was 5.79% while active users topped 51 million. PlayPhone has acquired San Francisco-based mobile social marketing firm SocialHour. Mixbook acquired Yobongo, a mobile social discovery app. Yobongo’s six employees will form Mixbook’s new mobile team. Ustream launches a JV in Korea. Larry Kubal participated in the Future of Media Conference 2012 at the Stanford Graduate School of Business. Rocket Fuel #22 on Forbes list of most promising companies. PlayPhone released PlayPhone PXP, a full suite of advanced virtual goods management tools through its PlayPhone Developers website supporting Android, iOS and HTML5 platforms. Marrone Bio Receives EPA Approval of Insecticide. 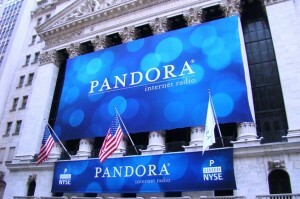 Pandora reported record revenue of $67 million in Q2 2012 representing a 117% year over year increase. PlayPhone announced an agreement with Perfect World Co., Ltd. (NASDAQ: PWRD), a leading online game developer and operator based in China, to bring a slate of Perfect World’s mobile games to the PlayPhone cross-platform mobile social gaming network. PlayPhone has signed a deal with two of the largest Chinese mobile game developers, China Wireless Arts and Magic Universe. Pandora reaches 100 million listeners. Pandora unveils its first major site redesign since its launch 7 years ago to rave reviews. Pandora (ticker symbol P on the NYSE) successfully completed it's IPO and was valued by the market at $2.8 billion after it's first day of trading. Marrone Bio Innovations completed a $25.4 million financing. Pandora has expanded their personalized radio offering beyond music to include comedy through the addition of 10,000 comedy bits each analyzed by Pandora’s newly developed comedy genome. EoPlex announced an improved Lead Carrier substrate that enables a "Super QFN" semiconductor package. Pandora files for $100 million IPO. PlayPhone announced the launch of a $10 million marketing fund for developers of social games for mobile devices published via PlayPhone's platform. Games launched on the PlayPhone platform will benefit from regional branding, advertising, community and multi-language support in more than 25 countries. Aperto Networks was selected to deliver a complete, $2.6 million broadband wireless network solution by one of India's largest telecommunications service providers. This is the second Tier 1 operator that has selected Aperto in the last few months. Initial shipments are expected to begin in Q1 and continue throughout 2011. Tremor Media Acquires Mobile Video Ad Platform Transpera. KickApps was acquired by KIT Digital. Rocket Fuel released Video Booster that offers highly targeted 15- or 30-second pre-rolls with companion display placements. Video Booster is integrated with BrightRoll’s ad exchange and Adap.tv Marketplace. Mixbook announced that it has acquired scrapbooking service Scrapblog for an undisclosed amount. CNBC interviewed Pandora’s founder Tim Westergren in their coverage of “Pandora Everywhere” at CES. UStream came in at number four in VentureBeat’s top 10 VC startup fundings in 2010.